I love this salad! I used to make my own balsamic glaze for it until I found Star Fine Foods Creamy Balsamic Glaze was so much better than my own! 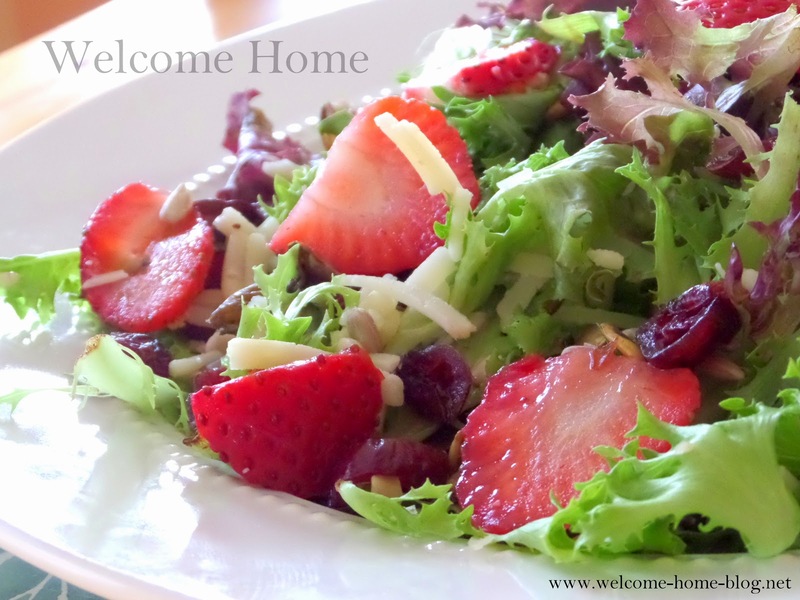 Their creamy sweet glaze and this salad are a perfect match. You get such intense sweet and tangy flavors of the balsamic that go beautifully with the ripe strawberries and sweet crunchy pecans! Did I mention I love this salad? Glaze the pecans: In a saute pan, add the pecans and sugar and slowly heat on low until sugar starts to melt and pecans become toasted. Set aside to completely cook on wax paper. Chill two salad plates in the freezer while mixing salad. Rinse mixed greens, spin dry and add to a large bowl. 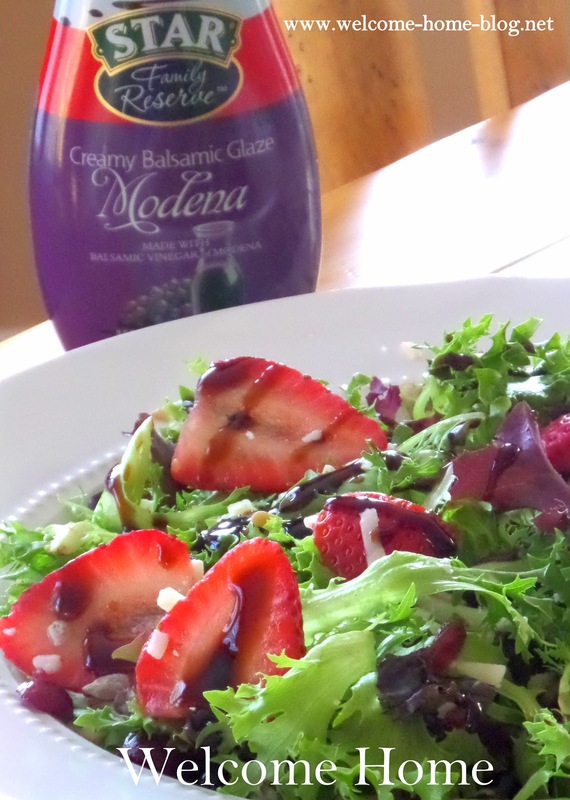 In a large salad bowl, drizzle some of the balsamic down the sides of the bowl. Add in greens and strawberries; toss gently. Sprinkle in pecans and toss again. Finally add sliced grapes, pine nuts and cheese. Remove salad plates from freezer and plate with lettuce mixture. Sprinkle on more pecans and drizzle with more glaze. Serve immediately.